A Favicon (“favorites icon”), is an icon associated with a particular website or webpage that is displayed in the browser address bar next to a site’s URL. Favicon is a little icon, but plays a subtle and important role. It acts as a brand. 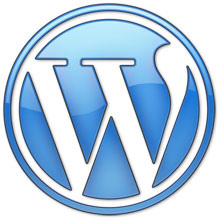 This Favicon is very familiar, which can be seen next to the Title of any WordPress WebPage and some other places as described below. Where this Favicon is Displayed? It is displayed at three places. It is very simple and easy. Follow the steps described below. That would become your Website’s brand image. Add it in your root directory and remember to rename it as sometimes it does not refresh itself if Internet Template is used. Put the above code in the <head>.......</head> section of your webpages if Empty Template is used, else in theLayout Page for Internet template. While working on a demo, I saw a Favicon in my root directory and got curious to know what is the use. I saw this when I used an Internet Template in ASP.NET MVC4 not an Empty Template. Hope beginners like me get to know about this and use this with their Websites. Give your Website a brand with these steps and enjoy. This is trivial and my very first Tip and Post too, wanted to start with this.